Do you like my panda avatar? Isn't he cute? He's actually Jing Jing, one of the five mascots from the 2008 Beijing Olympics. I wonder if there's a planet out there in a galaxy far, far away with a population of pandas like Jing Jing. Then maybe, I can go into that claustrophobic box and sleep away while mentally controlling my panda avatar on that distant planet called Pandaro. OK, you must have guessed by now this post is not so much about my panda avatar as it is about Avatar the movie directed by James Cameron. Haha! 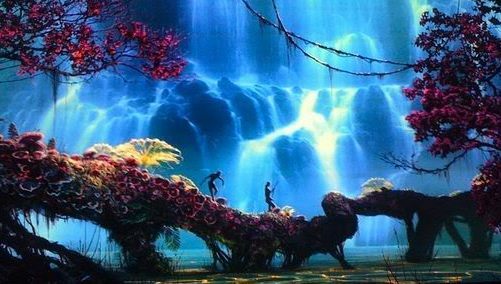 Of course, in the movie, it's Pandora, not Pandaro and the natives of the planet is called Na'vi, not Panda! 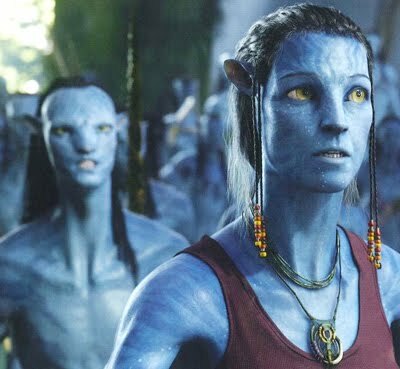 It is this movie Avatar that made this three-word phrase trendy nowadays. Which 3 words? With Star Wars it was "May The Force Be With You". That phrase was so famous it's already a classic. Now with Avatar, it's "I see you". To those of you who have not watched this movie, you will not know what the heck I am talking about. So go watch it and come back here later and tell me whether you see me or not, OK? Anyway, I went to watch this movie on Christmas eve last year without bothering to book or buy the tickets online. So when I went to GSC 1Utama in the morning thinking I was early enough to buy tickets for the night show, I was stunned to see a long queue and the monitors showing tickets were limited and selling fast! I sure as hell was not going to queue up there, so I walked over to the old wing of 1Utama and tried my luck at TGV cinema. Surprise! There was no queue there, in fact hardly any people there at all! I quickly bought myself 3 tickets for Avatar priced at only RM9 per seat. Too bad they did not have Avatar in 3D, but I guess I was lucky to even get the tickets! Well, what do you know! After years of being "pampered" in GSC, I found it quite uncomfortable watching a movie in TGV. For one, the seats did not have head rests (my poor neck!) and secondly, they were a little tight! Mind you, I am not fat! I still remember a decade ago, TGV was like "luxury" to me! Now it has been replaced by GSC. No wonder no one goes TGV anymore! But wait, I have found out an even better version that makes GSC pales in comparison. It's GSC Signature - the crème de la crème of cinemas! Of course, the tickets there are sold at a premium price too. So you can imagine how my friend who ever so often goes to GSC Signature for her movies, complained about TGV that night! After 3 hours of Avatar, she came out with a backache! Haha! Obviously, she's a little weak as she is not even 25 yet! I will not go into details about Avatar the movie. If you want to know more and are not afraid of spoilers, go read the reviews here, here and here. Suffice to say, I love the movie! It's easily my top 3 movies last year and possibly this year, although I really hope not! 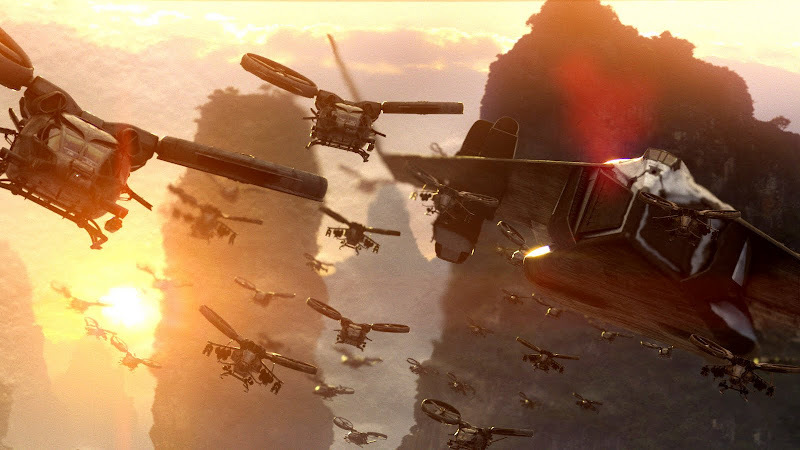 I would say James Cameron did it again! I enjoyed his movies from Terminator to Aliens, to Titanic and now Avatar. 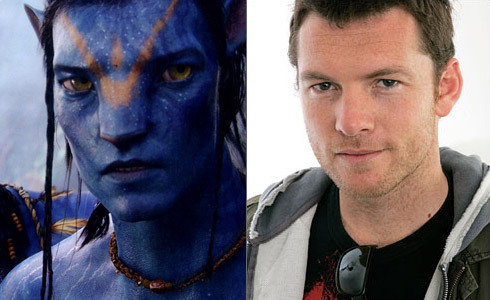 Sam Worthington is definitely the next big action movie star! As Jake Sully, he puts in enough emotional depth into his character. You can't say the same for many other big action movie stars out there! There must be a reason why James Cameron hired Sigourney Weaver again. As the famous heroine in his movie Alien, Sigourney came across as a strong woman in the face of fear. And I can tell you, she was excellent in Avatar. I like the way her character Dr. Grace Augustine stood up to the sleazy entrepreneur Parker Selfridge (played by Giovanni Ribisi) and the aggressive Col. Miles Quaritch (played by Stephen Lang). There's one scene where she was about to die (oops! sorry for this spoiler! If you have not watched this movie, stop right here!) and she saw the Tree Of Souls (Vitraya Ramunon) and blurted out that she would like to collect some samples. That's really funny because it was so unexpected! 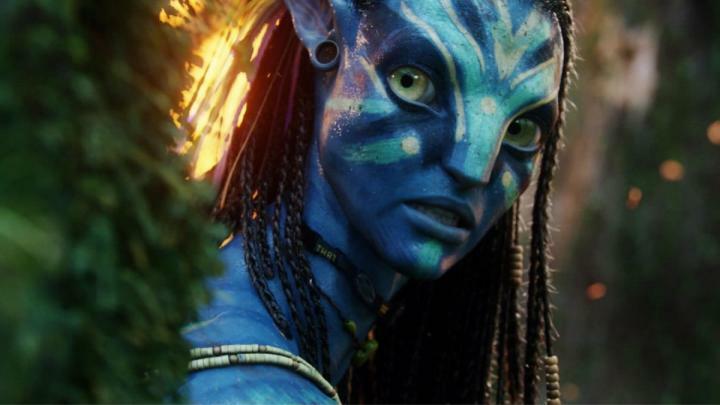 I thought Zoe Saldana did a perfect job with her Neytiri character. I liked the myriad of expressions on her face - she was good! In fact, Neytiri was such a central character in the movie without an actress of her capability, the movie would surely suffer. But the biggest star in the movie had to be the CGI and special effects, without which, Avatar would not be raking in the millions by now. If there were any imperfections in the plotlines and cheesiness in the dialogues, they were quickly forgotten as the impressive CGI effects took over. I liked this movie so much I was a little disappointed for not being able to watch it in 3D. So guess what? I went for a second round just for the 3D! After "suffering" in TGV, I went to GSC Signature for the 3D version a few days later. A good movie of almost 3 hours long must be watched in complete comfort and luxury, don't you agree? Who cares about the price? It's Avatar 3D! 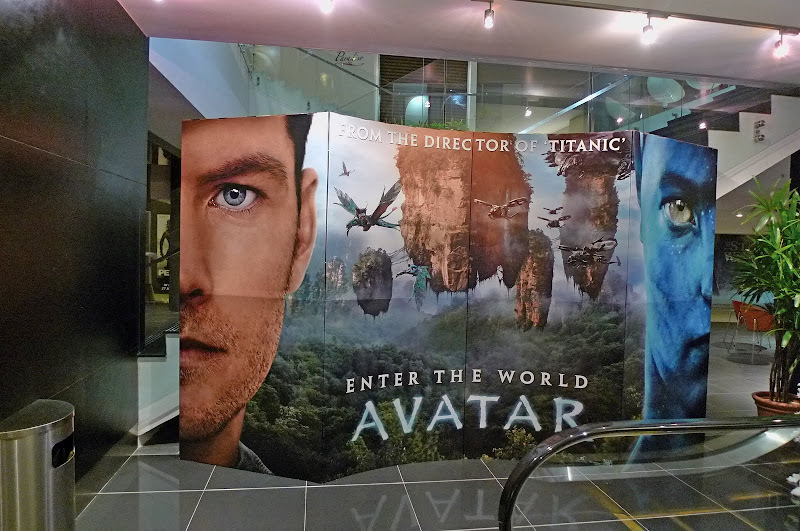 Here's a photo of the huge Avatar poster I snapped at GSC Signature before the I watched the movie. I felt like taking it home with me as souvenir. Haha! Amazingly, I found that I prefer Avatar without 3D! It was indeed a surprise, and I still do not know why, but I found the 3D was not as sharp and clear as the one without 3D. In case you are wondering, yes, I was wearing that 3D specs! Oh well, maybe I should watch it the 3rd time on IMAX 3D! But is there any IMAX 3D in KL? I think the one in Berjaya Times Square is closed for some time already, am I right? Maybe I should just fly over to Bangkok and watch IMAX 3D at Siam Paragon! Anyway, I still enjoyed watching it the second time. Avatar reminds me of Dances With Wolves, Pocahontas and My Neighbour Totoro all combined. The storyline may not be very original, but it was meaningful enough to drive home some powerful messages. Among them, is the environmental issues for example, to save the trees and whatever that are left for us to save, and to leave the indigenous people as they are. Avatar also hinted or rather in a way criticized US' attempt at colonizing Iraq and perhaps in another way also reminded us of the oppression of the American Natives. Very powerful messages indeed and I am glad James Cameron used Avatar as a tool to spread these messages. 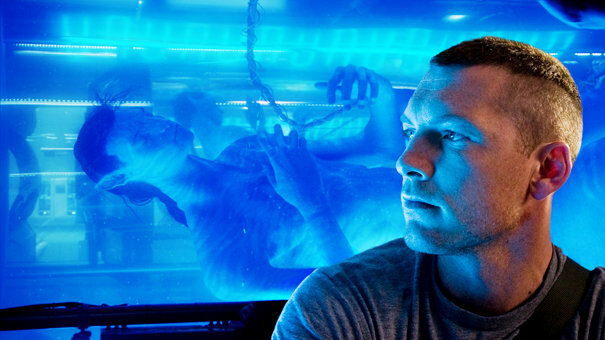 I was also intrigued by the issues of energy and the lifeforce as explained by Neytiri to Jake. Energy cannot be destroyed - they only change forms. And we are all connected to the life force. How profound! If humans understand this, they will stop destroying one another and they will start to respect all living beings! I am rating Avatar 4.5 out of 5. 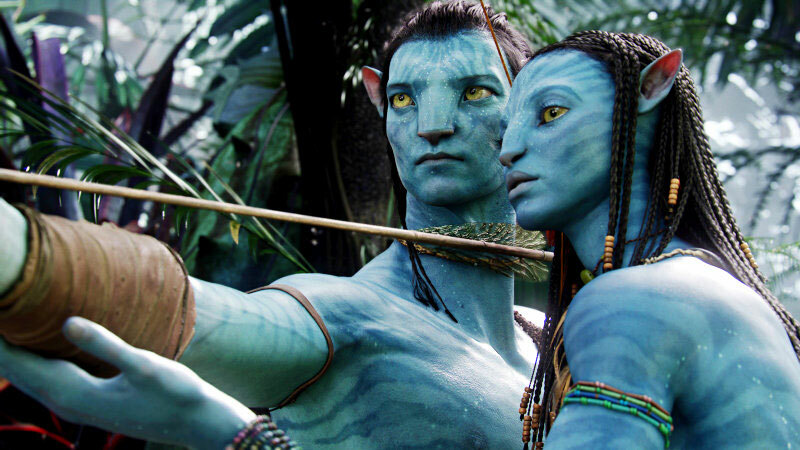 Made at the cost of US$300 million, Avatar had already earned back that amount and had even surpassed the US$1 billion mark worldwide according to the latest news! 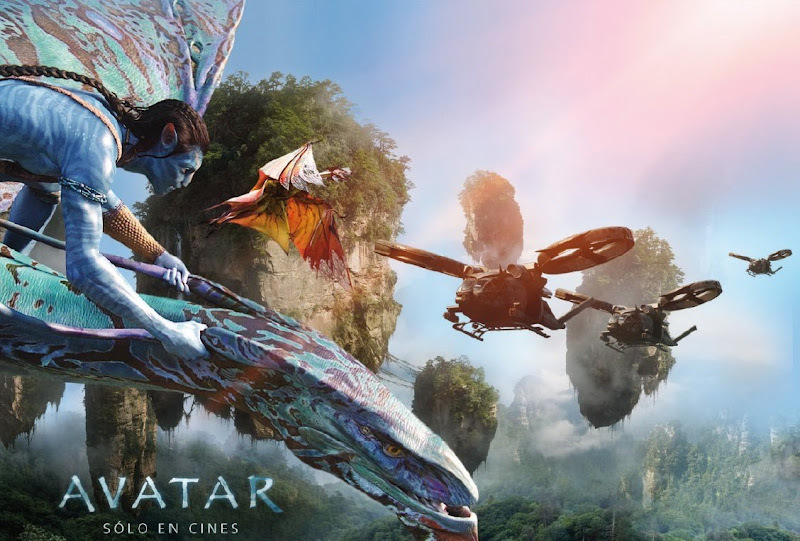 If you can only watch one movie this year, Avatar is the one! With that, I would like to leave you with this beautiful song "I See You" from the Avatar movie soundtrack, sung by Leona Lewis. Enjoy!! yep this is the must watch movie of the year! I like stephen lang.. macho right?!! Lol..
Aisay, i Missed FC! I haven't watched Avatar yet.. do you think I should watch 3D or not? Hmm.. I haven't watched Avatar yet, but all you folks who watched it seem so intrigued with it. I better watch it before the screening ends. my son told me this Avatar was his best movie of the year.. 2009.. i hv yet to watch it.. either i will miss it or will buy a dvd .. it will be one of those days, school reopens jor ma..
thank you and have a FUN day! watched the movie... and as my friend says - what a good way to end the year - with a bang! I heard good reviews about tis movie. But not watching as I am not into sci-fi movies (except for Star Wars). I've read good comments but strangely a friend when asked how was the movie, answered, "Okay lah" with little or no enthusiasm. I thought that was strange coming from a graphic designer. Still, I think it'd be a good watch just to experience the CGI. You said the 3D is not as good? Interesting observation, Foong. Thanks for the review. Btw, I prefer the Pocahontas theme song though. "I See You" is not as catchy. You think? Foong, I SEE YOU! i wanna cry dy coz i havent watch this! I cant bring ethan there.. he'll freak out.. lol..
yeah, i watched Avatar 3D, and i like it!! cool movie..
eiling lim, you like the bad guy? Haha! I think he's too macho, haha! iamthewitch, yes go watch Avatar in 3D, but make sure you don't sit too near the screen. Maybe I sat too near the screen (cos all other seats taken!) that's why I found my 3D experience not so good. ji, thanks for dropping by! So you and your son love pandas? Good! I'm a panda, so drop by always! Haha! quachee, yeah, definitely a great way to end the year! Haha! mei teng, no, not changing just yet cos I love my panda avatar too much!! Haha. happysurfer, I guess there will always be people who won't like the show, but majority like it so let's follow the majority yes? How about watching this movie on DVD? You're right, Foong, sitting too near the screen not only spoils the effect, it also makes one dizzy. There are some shows that you won't get bored with it no matter the number of times you watch it. This could be one of those? Perhaps we'll hear of you going for a third round? Why not, eh? And, you'd probably buy yourself a DVD too for your collection. Boy, am I giving you ideas! haha..
i want to watch that movie too.. I noticed a difference when I changed from my blonde girl avatar to my panda avatar, that I get more respect. It's weird, but I definitely notice a difference. This year's 2 best movies - District 9 and Avatar - both highlight the shiteness of the human race. 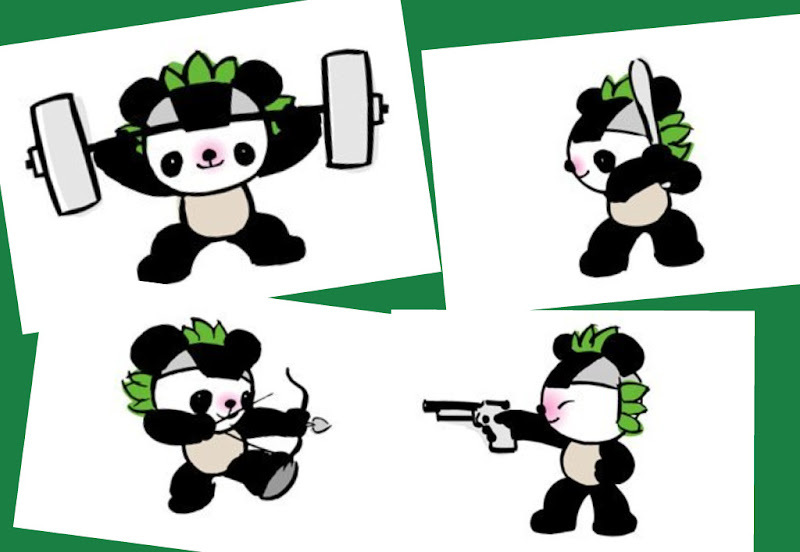 Fell in love with your panda avatar (not with you OK) nice lovely cutie Jing Jing. Cannot wait to see the movie Avatar after seeing hearing so much goodies from you. Even if you said it's a lousy movie I will still go cos I wanna find out how lousy when the rest said great. Thanks so much. got to see this movie. khengsiong, better to watch it in the cinema. You will lose most of the effects watching on DVD. donna, no time? Make time! LOL! gallivanter, yes now you mentioned it, I think there's some similarity with District 9! i hope astro will show avatar next year! Okay I haven't watch Avatar yet so I've skipped reading the details. I want to wait for less crowd. Haha But I know it's good. Your Avatar? Nah...don't really care. Hahaha :D But it is cute lar. Yeah! I see you. You see me. :D I know what you are talking about. Ouh, you watched this on Christmas eve? Guess everyone wanted to watch Avatar back then huh. Ouh...so nobody wants to watch movie at TGV 1Utama? How come? RM9? Cheap o. It's been a long, long time since I last watch any movie in TGV. :p War...the seats are that bad? They should upgrade if they wanna compete with GSC. hahaha :D I remembered that scene too. How funny huh. She could still joke in the face of death..but she is at peace then. RYC: u haven't seen my face?! i have posted a few pictures of myself on my blog before! Foong you like totoro too? we love it!!! avatar came out here in regular movie, 3d and imax! everything's sold out for 3d and imax but we're happy enough to see it in regular movie. Hubs and I watched it on first week of screening. gREAT MOVIE, CAMERON DID IT AGAIN! mr cameron should be proud of himself by now. another movie jumps on tops of other good movies, even though can't beat his titanic. oh btw, gsc is way too good and can't be compared with tgv! eww! neytiri the best char in that movie, i'd say! :) Rawrr! Might bring my kids to see it this week! Happy New Year, Foongpc! I like pandas, used to have toys of them. They are so cute. Nice review on the movie. BTW, I will do one myself in the next few days! And I like the song so much. The more I listen to it, the more I love it! I see you, Foong! I didn't know your avatar was one of Beijing's Olympic's five mascots??? Geez, don't I feel dumb. Avatar seems too animated for me at first but I've read a lot of good review and been wanting to watch this darn movie for the longest time but trying to squeeze a few hours to sit at a movie theatre seems just impossible. Dancing with Wolves...now that's a classic movie and so is The Last of the Mohicans. i SO wanna watch avatar. 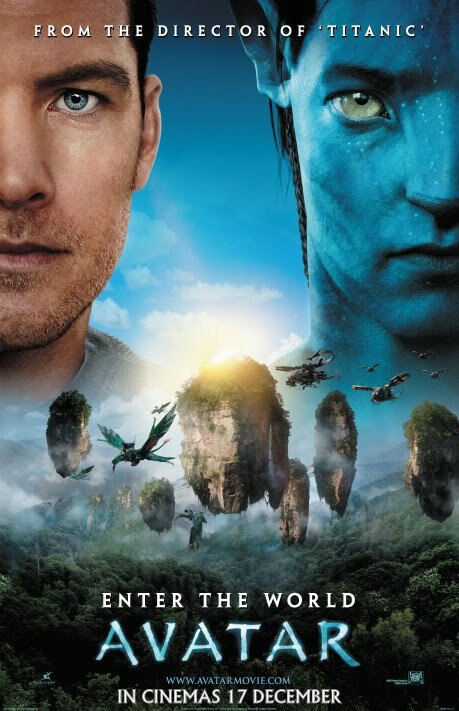 i haven't watched this movie yet but i've read a lot of positive reviews on Avatar. It sounds so intriguing. btw, Happy New Year! hope your NY is off to a great start. tekkaus, luckily you said it's cute, otherwise I will stop following your blog! Haha! You really think there's such a planet in a galaxy far, far away? I like to think so too. We can't be the only ones in this Universe, right? Doesn't make much sense. Haha, I see you Tekkaus! Yeah, everyone rushing to watch Avatar back then, it was difficult buying the tickets! Not many goes to TGV anymore - seriously they need to upgrade or else they will be out of business pretty soon! I like Sigourney Weaver in Aliens! Good actress! So you laughed at that scene too right? It was so funny she still wanted to collect samples when she's at death's door, haha. Yeah, Zoe rocks! 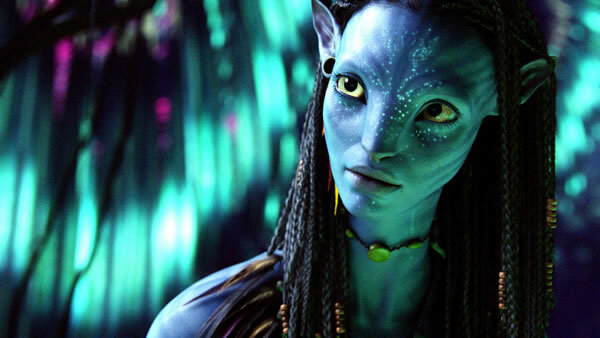 Glad James Cameron found the right actress for Neytiri! Btw, you know she acted in the latest Star Trek? I guess the 3D was not that good for me as I was seated too near the screen, just 3 rows away! Maybe I should watch it again in 3D sitting further back, haha! ayie, yes I love Totoro! In fact, most of the cartoons by Hayao Miyazaki! 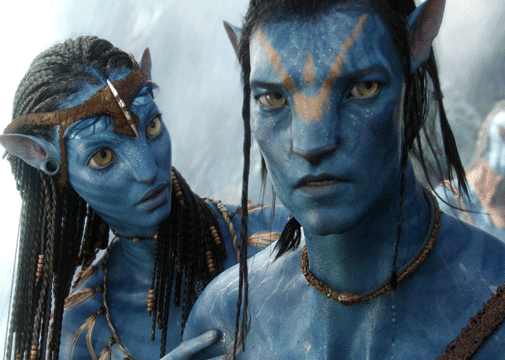 faisal admar, who knows give it a few more weeks, Avatar may just beat Titanic! Yeah, agree TGV simply cannot fight GSC - too bad! jam, come over to KL and watch Avatar in 3D! I don't mind watching again but this time, must make sure sit far away from the screen! Looking forward to your reviews on Avatar! foong we have many hayao miyazaki movies here and we plan to collect the original dvds in time! My husband grew up with totoro even in VHS. Have you seen howle's moving castle and spirited away? Yes we are! I told hubs you are Miyaki's fan too and he said it's cool! I love his stories as it always teaches moral lessons.